Jack H. M. Wong is an entrepreneur, founder of a consulting business, and author. 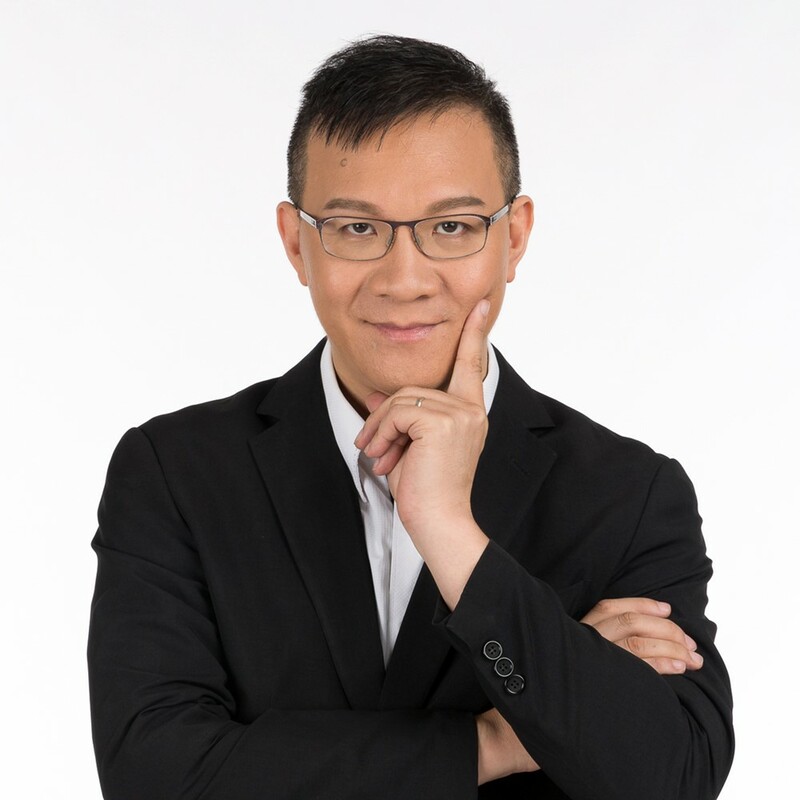 Originally from Hong Kong, his background is in accounting and law: Jack spent 17 years working as an Associate Director at PriceWaterHouseCoopers and as a tax attorney in Baker McKenzie law firm in Singapore. At 42, Jack reached a dead end in the corporate world and decided to dive into entrepreneurship, despite the negative voices around him who told him he’s too old for this and he’s not going to make enough money to support himself. In June 2011, Jack finally took a leap and started his own consulting business. Over the last 7 years, he has assisted those with an entrepreneurial mindset to gain clarity with their mission and vision in their business, but also to improve their sales process and create business processes that help them free their time to focus on other important matters. His mission is to help people make life-transforming changes, and his message to those stuck in the rat race is straightforward: anyone can start a business, anyhow, anywhere and anytime. Jack holds an MBA from Nanyang Technological University, Singapore, a Master of Laws from the National University of Singapore, and Bachelor of Laws and Bachelor of Commerce from Murdoch University, Australia. He wrote the books “Cracking the Entrepreneur Code” (released in 2015), “Creating Customers For Life” and “Essentials of Expatriate Tax”. From our book-talk you’ll learn more about his favorite books, the ones that left deep marks on him and he even re-read them a few times, what business mistakes he made, and common myths in his field. “Why the Rich Are Getting Richer” by Robert Kiyosaki, and it is a non-business book. The reason why this is my favorite book is that it is an advanced version of Rich Dad Poor Dad which explains in further details how the rich are getting richer by understanding the tax system and real financial education. When I chanced upon “Why the Rich Are Getting Richer“, I finally understand why I have been running my own tax consulting practice for such a long time. The global tax system is set up to benefit the rich people because they are the ones who contribute to the growth of the economy by putting investments into the economy as well as creating job opportunities. Similar to Kiyosaki’s personal tax advisor, Tom Wheelwright, I am also on the mission to explain to my audiences in Asia about the tax system and why rich people are getting richer. I confirm my life purpose after reading this book a few times. Tell us more about your reading habits. How often do you read? What format do you prefer? Do you have any favorite places? Typically I will buy a basket of books via online bookshop once every quarter and I do finish reading one book before moving on to another book. In selecting the books to read, I adopt the advices from my business coaches and most likely, I read the books they are reading as well so that I know I am on the right track. I personally prefer physical books as I do maintain a library in my study room with already more than 400 books. I devote a period of “time-out” to focus on reading a few chapters of a book. It’s all about time management. I like to put ideas from the books I read on a flip chart, which I can use for my own research and teaching. In selecting the books to read, I adopt the advices from my business coaches and most likely, I read the books they are reading as well so that I know I am on the right track. The book discusses how entrepreneurs can create an irresistible offer which people cannot say “No”! What do you think are three common mistakes made by entrepreneurs? Do you have an example of a mistake you made while building your business? OMG, of course. I planned to run an event in 2015 and my partners promised that they would be able to fill the room with 120 people. I trusted them and thus I did not follow up until 2 days before the commencement of the event and they said to me that they were not able to do that. Eventually, I lost USD4,000 for renting the venue for 2 days and yet the event was called off. 1. Fear of asking for money – perhaps the schools do not teach us how to sell and ask for money, from my experience, a lot of entrepreneurs are afraid of selling their products or services or making an offer to their clients. When sales equal income, no sales means that the business won’t last very long. 3. Fear of asking for help from experienced people – once again, the schools have taught us to work alone and do not seek help from other people or else it is called cheating. However, we all have only 24 hours a day. Imagine we can simply ask for help from someone who has the real-life experience in solving the problems we are facing. How does this help us shorten our learning curve? What common myths related to your industry do you encounter on a day-to-day basis? In my consulting business, clients do not ask for help in advance. They prefer to stay in denials until the challenges they are facing are so painful that finally, they have no choice but to ask for help. Many times, it may be too late for us to rescue the case. Another thing is that consultants do not see their value-add to their clients and have chosen to compete with each other based on price. These consultants’ services thus have turned into commodities and at the same time, they complain about not making enough revenue. So, the question is whether we should compete based on price or other factors.